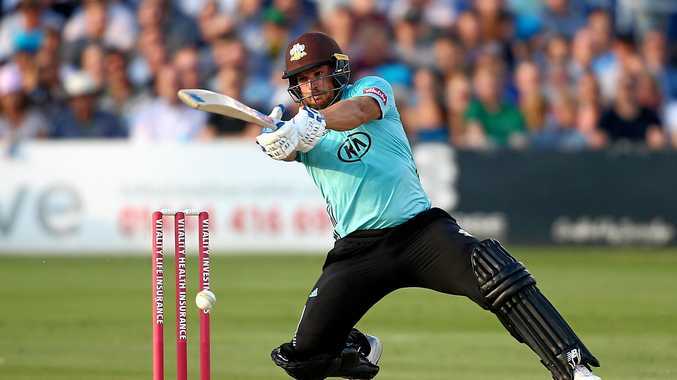 AUSTRALIAN batsman Aaron Finch made a brilliant 131 not out, the highest T20 score by a Surrey batsman, as his side ended Sussex's unbeaten start to the Vitality Blast with a thumping 52-run win in English county cricket. Dropped by Jofra Archer with a single to his name, Australia's T20 captain made the most of his reprieve with a brutal assault on the Sussex attack as he struck 10 fours and seven sixes from just 79 balls. 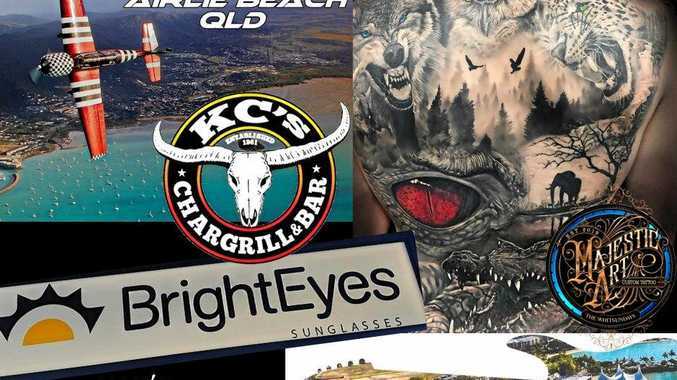 It was Finch's night but Archer will have nightmares about the straightforward return catch he shelled when the right-hander pushed tentatively forward to the first ball of the second over. Finch, who made 114 not out against the same county last year, spared no bowlers and hit world ranked No. 1 T20 bowler Rashid Khan for two fours and two sixes. During the late innings assault Ollie Pope (23 not out) sensibly made sure Finch saw as much of the strike as possible. And the opener obliged by thrashing a further six fours and four sixes as the pair plundered an unbroken 100 from 50 balls for the fourth wicket. Finch's countryman and Surrey teammate Nic Maddinson, in at No.3, was trapped LBW for seven. The Victorian's history-making performance comes after an astonishing innings earlier in the month that saw him register the highest ever score in T20 internationals playing for the Aussies against Zimbabwe. 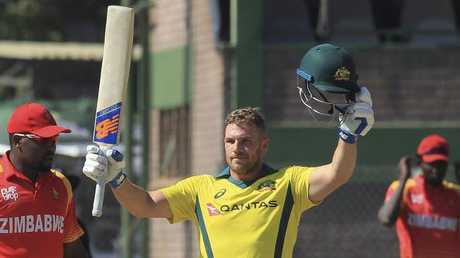 Finch belted 10 sixes and 16 fours en route to compiling a brutal 172 from just 76 balls in Harare as he surpassed his previous best score in the game's shortest format of 156. On that occasion he also shared in a 223-run stand with opening partner D'Arcy Short - the highest partnership in T20 international history.